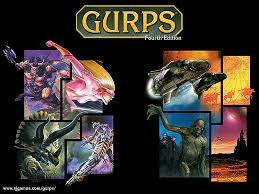 This thursday, Sept 23, there will be only a single GURPSDay pull, done likely around 9pm CST. If in the past you’ve timed your posts to get picked up in the late pull I usually do around 10-11pm CST, that won’t happen. Also, running the script in the morning will also not occur. Just a fair warning – GURPSDay will happen, just a bit more sparse than usual. Next week we’re back to normal. It almost seems a little churlish to point this out, but I'll point it out anyway, on the off chance that it might prove helpful. Is Thursday not the Sept. 22nd? Rather than Sept. 23rd, as you've recorded here? I hope that's helpful, and not stupid, to point out.